WEC Group is currently going through a nice spell of growth after investing over £2m in new, state-of-the-art machining technology to strenghthen its supply chain. 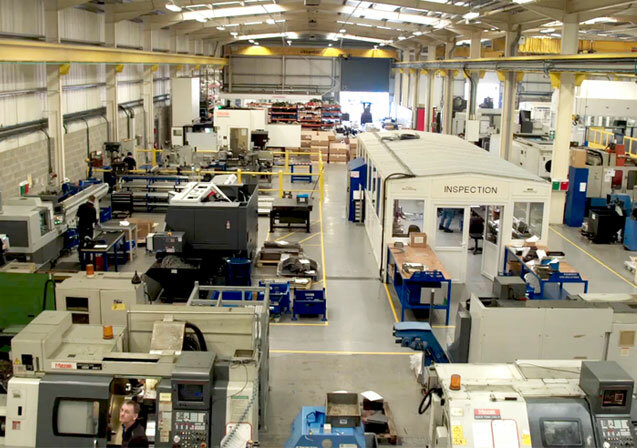 This follows £3m of investments to relocate WEC Machining to a purpose built 33,000 sq. ft. production facility in Blackburn, Lancashire with room for expansion. The recent investment has seen WEC Machining introduce 6 brand new Haas Machining Centres, a Hancook Oil Country Lathe and an Asquith Butler 8M Machining centre to our ranks. We have also brought in a 7 axis Citizen Sliding Head Lathe with 4 metre bar feed and up to 32mm diameter, enabling us to machine large batches of small turned parts at very competitve rates. The is a welcome addition to our already extensive capacity list, including 30+ CNC machines, a large 5 axis mill turn centre and two cutting edge precision engineering workshops. We recently appointed a brand new Operations Manager as well as a Production Planner, and we are hoping to create a further 20 jobs in the near future, including additional apprentices. Continuous investment in the latest technology is the key to WEC Group's dramatic growth over the past few years. The group has already invested over £3m in new machinery since the start of 2015, including a new 7m x 2.4m waterjet cutting machine, a second Fibre laser machine and a brand new £500,000 fully automated powder coating plant.